As a church, we support various ministries across the United States and the world. For more information on who and what we support, contact our office. Pioneer Bible Translators exists to disciple the Bibleless, mobilizing God’s people to provide enduring access to God’s Word. Our vision is to see transformed lives through God’s Word in every language. The work is not finished until there are networks of churches using Scripture to grow, mature and multiply in every language group on Earth. Our mission is to glorify God by restoring and empowering families. Since 1967 Illini Christian Ministries, Inc. (ICM) has partnered with churches in Illinois to focus on caring for at-risk children while preserving and restoring families. Whether the issue is abuse, neglect, crisis pregnancy, family conﬂict, or the lack of an adequate support system during a crisis, our Family Care, Adoption, and Counseling teams can help. 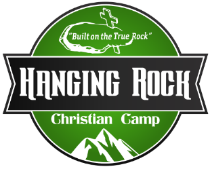 Hanging Rock Christian Assembly, Inc. We are a Christian Camp & Retreat Center that provides opportunities for Churches, Individuals, Families and Communities to establish & strengthen their relationship with Christ. Hanging Rock is supported by 70 Church of Christ and Christian Churches in west-central Indiana and east-central Illinois. Established in 1946, Hanging Rock has provided seventy two years of Christian Camping and Retreats. Hanging Rock is a 501(c)(3) organization, committed to excellence.